Don’t let back, muscle or minor aches and pains keep you tossing and turning all night. 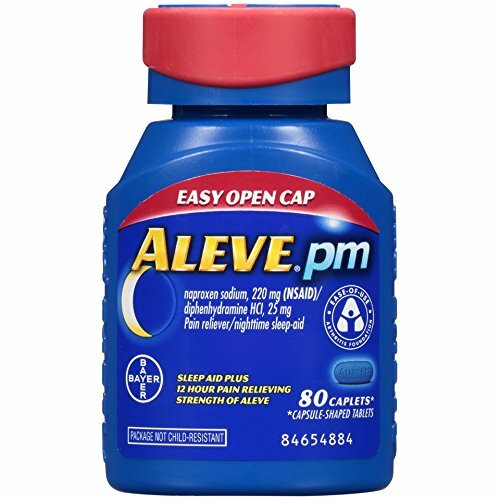 Aleve PM is the first over-the-counter PM product with a sleep aid plus the 12-hour strength of Aleve. Aleve is an over-the-counter (OTC), nonsteroidal anti-inflammatory drug (NSAID) that provides temporary relief from minor aches and pains. It also temporarily reduces fever.